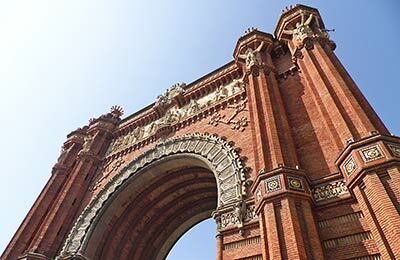 Barcelona ferry port is situated just a few kilometres away from the capital of the Catalonia region of Spain, and offers great links to Italy, the Balearic Islands and North Africa - all of which can be booked here with AFerry. On board a Grandi Navi Veloci ferry you will find a la carte and self-service restaurants, a snack bar shops and children's play areas. Some ferries also feature a cinema, disco, swimming pool and even a gym. 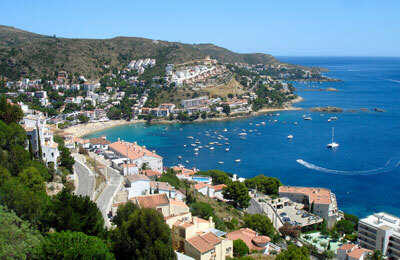 Terminal Trasmediterránea is located in the moll de Sant Bertrán. It has air conditioning, bar/restaurant, toilets, gift shops, rent-a-car, public telephones, bank, left-luggage, taxi rank, customs and immigration police services, and the car park is located at the World Trade Center. Terminal C moll Adossat is located in the moll Adossat. It has air conditioned, toilets (outside the terminal) and a vending machine. Terminal Trasmediterránea - facilities as above. Terminal de Drassanes is located in the moll Barcelona Nord. It has air conditioning, a coffee bar, toilets, public telephones, luggage room and a newspaper kiosk. The car park is located at the World Trade Center. Terminal de Génova is located in the moll Ponent Nord. This Terminal is equipped with air conditioning, toilets, public telephones and various vending machines. The nearest metro stop is in Drassanes (green line L3), which is approximately a 20 minute walk from the port, near the Christopher Columbus monument along the Ramblas. You may need to get a port shuttle bus to the monument, depending on which terminal you arrive at. You can simply catch a taxi from the ferry port terminals to the city centre, at around 8 Euros. This usually takes less than 10 minutes. There are various options for travelling between the ferry port and the airport. The quickest option is to jump in a taxi, which are usually reliable and cheap. The journey will take approximately 25 minutes. The Z.A.L bus service (bright blue buses) runs every 20 minutes from the main port terminals to the Christopher Columbus monument, allowing for easy access to the metro. Ticket prices are approximately 1.10 Euros (subject to change). The Bus Montjuïc Car Park at Passeig de Josep Carner / Passeig de Montjuic, provides a 24 hour secure place to leave your car, and is only 5 minutes from the port terminals. Barcelona ferry port is located next to the main cruise terminal near Port Vell (the old port), which is located at the southern end of the famous Ramblas, a 1.2 Km walkway through the very heart of the city centre.